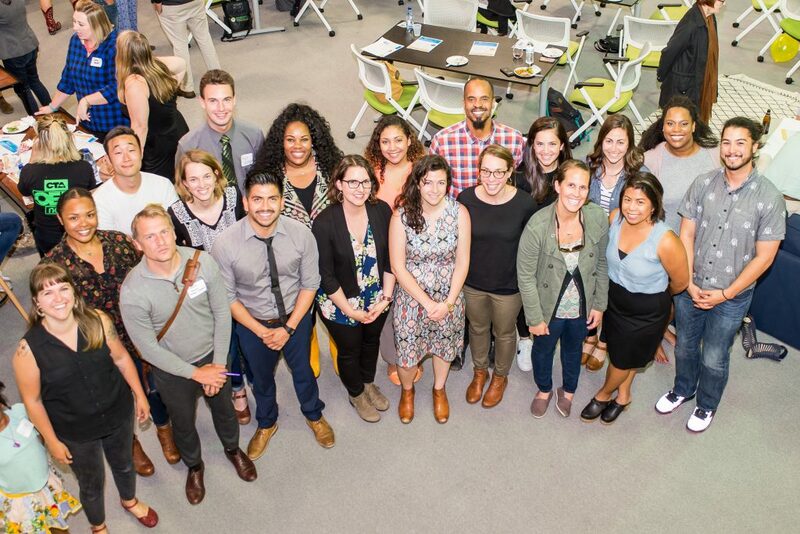 GO's fellowship is an opportunity for a small, diverse cohort of Oakland teachers to lead, learn, and think about the future of education in our city. You’ve heard the stories or perhaps even experienced them if, like us, you’re a teacher: the buying of pencils and paper, the cobbling together of DonorsChoose.org campaigns to purchase books and fund field trips, the constant stress and consideration about whether or not the salary provides a sustainable living. The narrative around underfunded classrooms (and educators) is not a new one and we’re not here to continue to list the familiar woes plaguing teachers around our nation. 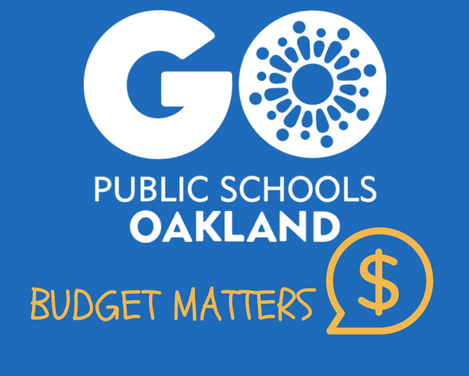 We are interested, however, in outlining specific, ongoing challenges facing Oakland’s budget and, importantly, what we plan to do and how you can help us. 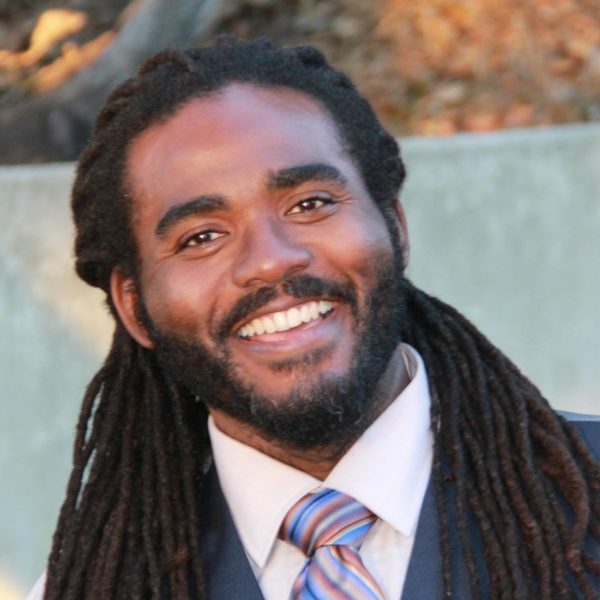 As a former Oakland Unified principal, I know that our school district is not perfect. But my North Star as a leader – for my students, teachers, and the district as a whole – was always asking if we were improving and learning from our mistakes. naming that the district would adopt and implement the Smarter School Spending Framework, a financial framework endorsed by a nationally-recognized leader in public finance, the Government Finance Officers Association (GFOA). Sometimes the Facebook feature “On This Day” just reminds me of how much free time I had before I became an educator and a mother. 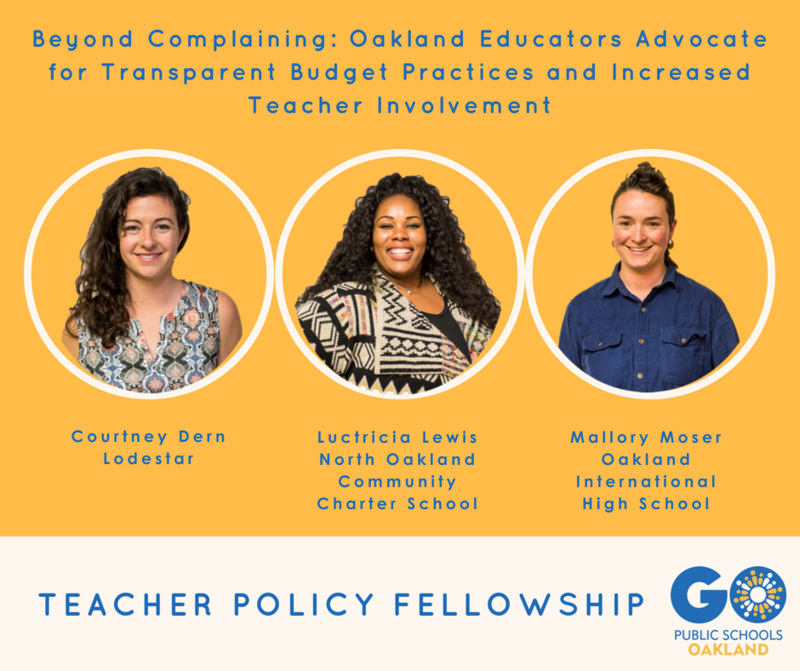 Today, it showed me that 5 years ago this week, GO Oakland put out the very first all-call for applicants to the inaugural cohort of our Teacher Policy Fellowship. At the time, I was a full-time Special Education teacher, just beginning to pop my head out of the classroom to try to understand how the whole system of public education works. 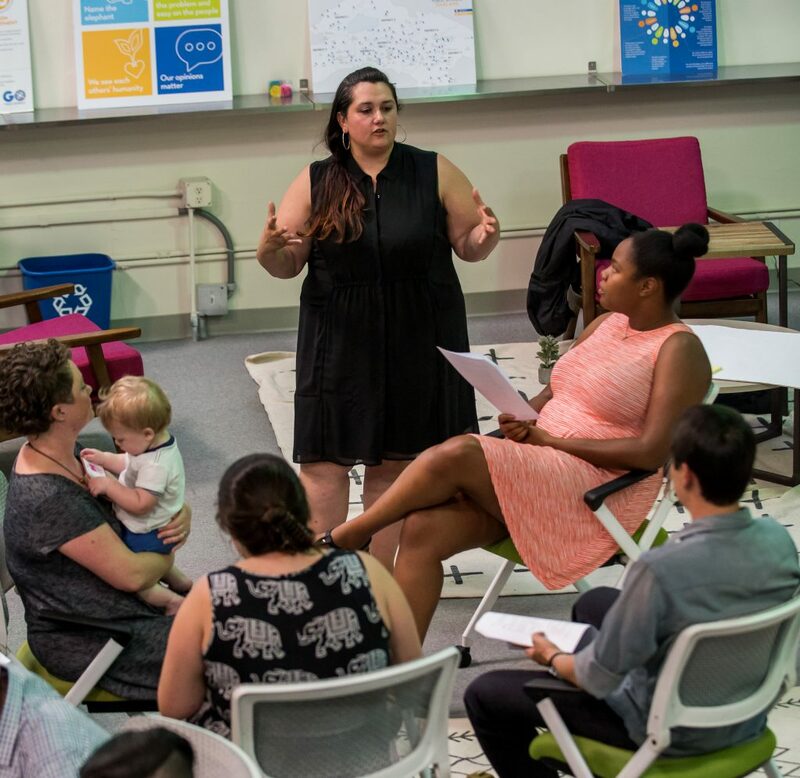 How are teachers in Oakland paid? Learn more about the fellows! Click here for an overview of the Teacher Policy Fellowship. Click here to meet this year’s fellows. For more information contact Angela Badami-Knight at angela@gopublicschools.org. 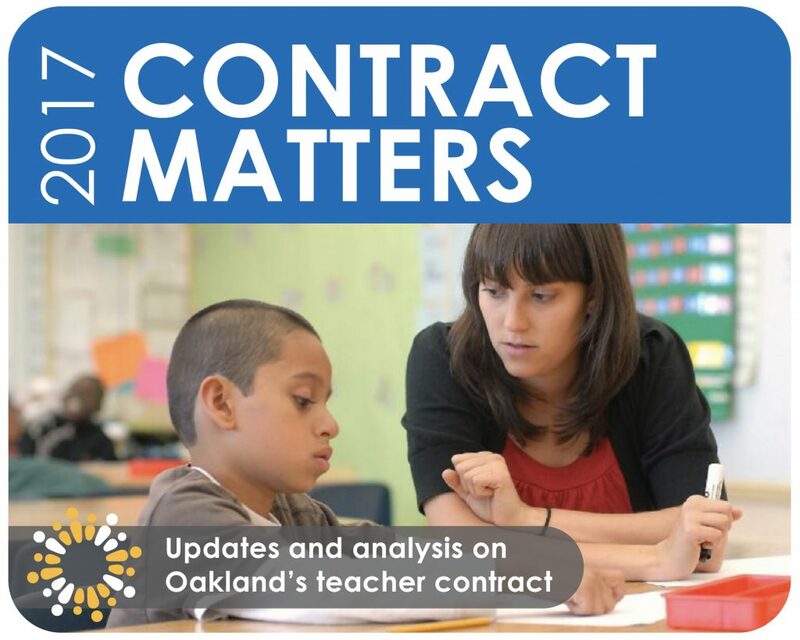 Stay connected with your fellow educators and stay on top of education policy news in Oakland. Contact Angela Badami-Knight at angela@gopublicschools.org to find out how.